Born in a mining camp in the high Sierras of California, Catherine Malone was the daughter of poor Irish immigrants who came to America in the early 1860’s. The child was born on Christmas Eve, 1863, and had no memory of her parents. What happened to them is unknown; their deaths were apparently not recorded – just two of many expendable poor Irish in America. Providentially, for her and the world, from the age of three, Catherine was raised by the Daughters of Charity of Saint Vincent de Paul who ran a school and orphanage in Virginia City, Nevada. Catherine’s earliest memories were of the lovely white cornettes of the sisters, who must have seemed ministering angels to their children. The Daughters of Charity were founded in 1633 in France by Saint Vincent de Paul and Saint Louise de Marillac. Along with the male community that he also founded at about the same time, the Congregation of the Missions (later known as the Vincentians), Saint Vincent’s good sisters were dedicated to serving the poor and ignorant – especially those ignorant of the Catholic religion – of France. He himself served the prisoners of France who were in dire condition, healing their wounds, bringing them into the Faith and, in general, making more humane their pathetic living conditions. Many of the religious of Saint Vincent died as martyrs to the Faith in Revolutionary France, but not before making thousands of converts from Protestantism as well as converting a surprising number of Turks. Saint Vincent himself was seized by Turkish pirates as a young priest and taken to Tunisia. While working the galleys as a slave on their ship he converted one of his captors. Together, he and his Turkish convert escaped that horrible life and returned to France to work with his beloved poor. Eventually, in America, Saint Elizabeth Ann Seton adopted the rule of the Daughters of Charity of Saint Vincent de Paul for her own sisters. Later, they became officially associated with the French order, thus increasing the numbers of the Daughters by hundreds. It seemed to be taken for granted by her mentors, the dear sisters, that Catherine would one day become one of them. She was a sparkling child who loved to skip. She had sparkling blue Irish eyes to match her personality, was quick of wit and adored by all who knew her. Everyone, especially the sisters, knew that she was special. She remained in Virginia City to help with the children until she was nineteen, when she followed her heart into the postulancy of the order at Mount Hope in Baltimore. She was a diligent and brilliant student who labored to love God every hour and minute of her religious life. After three months of study in Baltimore, she was sent to Emmitsburg, Maryland, for a six-month stint as a novice, after which she received the distinctive garb of the Daughters of Charity – the dark blue habit and the white cornette (not the traditional veil of a Catholic sister, but a hat with huge white starched “wings” completely covering the head). A heavily starched wimple covered the shoulders, chest and neck. Distinctive, indeed! The sisters had a hospital in Baltimore where the young novice received a few months’ training as a practical nurse. It was here that she was given the name Sister Stanislaus and told that her first assignment (and as it turned out, only one) would be in New Orleans. One of the primary mission fields for the Daughters of Charity in America was New Orleans. While the city had been spared the destruction of other major Southern cities during the War Between the States, because of its early occupation by the Union forces, like all of the South, it was beaten down by “Reconstruction” – not really reconstruction at all, but a vile punishment for attempting to secede from the Union. Besides that, the city was periodically visited by the “Yellowjack,” suffering several terrible epidemics of Yellow Fever which decimated the population, especially the poor, the ill and the children. It was not known at the time that the fever was spread by the bite of a particular mosquito which bred by the millions in the surrounding swamps and marshes of New Orleans. It was also a city of muddy streets from the semi-tropical rains, in which the horses and buggies of the 1880’s tended with regularity to get bogged down. When Sister Stanislaus arrived in 1884, she was young and eager to take on the job of helping her “poor relatives,” something that she did in that same place for the remainder of her long and productive life. Sister Stanislaus’ first superior (or “Sister Servant” as the administrator was aptly titled) was Sister Agnes, a brilliant, but stern despot. It was from Sister Agnes that she learned how to run a hospital. She became the administrator’s right arm almost from the beginning, being full of energy and love for the clientele who frequented Charity Hospital – or “Charity,” as it is known locally. It was an unusual arrangement that the sisters had with the hospital. The buildings and the land they rested on did not belong to them. It was a state-owned institution, which the sisters served. The head of the Daughters in America appointed the Sister Servant, and she had full control of the place. This was a tall order, as political corruption was common, and funds were not plentiful from the state government in Baton Rouge. Since the sisters did not ask anything for themselves except living quarters and food and enough money to actually run the hospital, this mixing of “church and state” was just fine with the legislators, most of whom were not Catholic. The sisters had full control and made all decisions. It was not until the administration of Huey Long in the 1920’s, after the hospital became known as one of the best any where, that the storied governor put his heavy hand into its administration and ran afoul of Sister Stanislaus – but we are getting ahead of the story! Sister Agnes was about as tough an Irish Daughter of Charity as there ever was. She was “old country Irish,” meaning that she was directly from the “auld sod.” American-born Irish were not overly fond of their old country compatriots because the latter looked down on those born on this side of the pond. It was hard, though, to know what Sister Agnes actually felt. She was all business and expected perfection in her sisters. Sister Stanislaus recalled the story of the cigarette. A gentleman was admitted to the emergency unit dying of tuberculosis, which, in those days, had no cure. She loved working in emergency because she looked upon it as a way to send a dying person straight to heaven. When she knelt to pray with the dying man, she asked him if he had any religion. Yes, he had once been a Catholic, but had not practiced in many years. She could see a spark of hope in his eyes and ran to get the chaplain, but not before she asked what more she could do for him. “I’d give ten years of my life for a cigarette,” he replied. Impossible! They were not allowed in the hospital and, besides, only lowlife people smoked in pubic. Sister Stanislaus cornered a doctor she had seen sneaking a smoke one day and told him of her mission. He gave her a whole pack. She actually had to ask him which end she should light! By the time she returned to the patient, he had confessed, received the Lord in the Last Sacrament and looked peaceful. The poor fellow took half a dozen puffs on the cigarette and died with the cigarette still burning between his fingers. Not knowing what to do with the thing, Sister wet it and put it in her own pocket, intending to dispose of it secretly. As she walked down the hall, from the other direction came Sister Agnes with a terrible scowl on her face. “Sister, I smell smoke!” Smoke could mean a fire in the hospital, a very frightening prospect. Fortunately for Sister Stanislaus, they were passing one of the labs. “Could it be that the smell is coming from a Bunsen burner in that lab?” “Maybe so,” Sister Agnes conceded, and they proceeded to the chapel without another word. As stern as Sister Agnes was, that’s how sparkling and loving was Sister Stanislaus. Even in her earliest days in New Orleans, patients loved her because she was not afraid to show her love for them. She befriended the people at the market and knew all their names and the names of their children. Today we would call her a real “people person.” Her favorite patients were the children; she did not allow a day go by without a visit to the children’s ward. Her voluminous pockets were always full of surprises for her dear little ones – candies, pennies and nickels. Even in her later years when the weight of the business of running the hospital and her own illnesses pressed upon her and she thought nothing of raising millions to put up a new building or buy the latest surgical equipment, she considered herself “broke” if she did not have enough nickels in those pockets to distribute to her beloved children each day. The older folks loved her too. One of her earliest assignments was the ward for the old ladies. The walls were painted black, a fact that depressed even joyous Sister Stanislaus. The oldsters were treated kindly by the nurses, but no one had ever really treated them with the love that they found in Sister Stanislaus. Her lifelong habit of skipping served her well as she bounced into the room and shouted a cheery “Hello, girls!” Why, she looked as though she actually enjoyed being there. She made them laugh with her light little dances and treated them to candies every day. She timed her visits to the passing of the candy man on the street below. When she heard his bell, she would shout, “Who wants a candy?” Like little children, all the old ladies responded, “I do! Get me one!” Sister would lower a basket filled with coins on a rope out the window and down to the street. Up, up came the basket filled with candy. The excitement was as much about doing the deed before Sister Agnes appeared as it was for the candy itself. “Girls! Must you call them girls? Women old enough to be your grandmothers! Undignified! Disedifying! For your penance you will go to the chapel and ask God to give you some good plain common sense!” was Sister Agnes’ response to the forbidden fun. Sister Stanislaus was ahead of her time, too, when she brought a puppy into the hospital to lift the spirits of the oldsters. Then came a kitten. She was always looking for something to lift the gloom for the old folks – that was her brand of common sense. Today we may be surprised to learn that nursing was not the honored profession in the late nineteenth century that it is now. Nurses were actually looked down upon as doing work that no intelligent, capable person would care to do. Sister Agnes had great foresight in planning a school for training professional nurses for Charity, but the opportunity had not yet presented itself – that is, until the arrival of Sister Stanislaus. She saw in the maturing sister her opportunity to realize her dream. Arranging for Sister Stanislaus to travel to Chicago’s great medical center to study under the renowned surgeon, Dr. Nicholas Senn, Sister Agnes could foresee the surgery unit at Charity become one of the nation’s finest. Dr. Senn taught her the new techniques of sterilizing surgeons’ gloves and instruments in an autoclave, bandaging, anesthesia, and preparing patients properly for surgery. The resulting transformation in Sister Stanislaus made her the most in-demand nurse at Charity. She was actually teaching the surgeons! She became the right-hand man of Dr. Miles, chief surgeon at the hospital. Some of the doctors said that she should have been born a man, for she could take off a gangrenous leg as expertly as any surgeon. Sister Agnes got her nurses’ training school, and our heroine was the first graduate on December 12, 1895, Feast of Our Lady of Guadalupe. It was hard for Sister Agnes to hide her pride. The Charity Hospital School of Nursing was to become one of the finest schools for nurses in the entire country. Thanks to the Catholic Daughters of Charity nationwide, nursing was elevated to an honored profession. Money was always short; the legislators in Baton Rouge never budgeted enough money to run the hospital properly. The food was poor and unhealthy and basics such as wheelchairs were in short supply. One volunteer, an Episcopal minister who visited Protestant patients, found that there were only two wheelchairs – oddly, one for Protestants and one for Catholics – in a population of seven hundred and fifty patients. He took it upon himself to supply fresh fruit for all the patients and secure donations for more wheelchairs. Sister Agnes’ new school of nursing began to attract the attention of wealthy donors to the hospital. One of the early benefactors was the widow of Richard Milliken, a wealthy sugar cane planter who had been a Confederate statesman and soldier. Mr. Milliken was a faithful volunteer in the children’s ward for years. He and his wife sadly lost their only child many years before, and this was his way of filling the void. Tragically, he was struck by a streetcar and died from his injuries. His poor wife was inconsolable. Amazingly, it was Sister Agnes (the dragon) who opened her arms to the grief stricken widow and made the small suggestion that she memorialize her beloved husband by building a new children’s hospital. The Milliken Memorial cost over one hundred thousand dollars, a huge sum in 1902. Mrs. Milliken brought an old friend to the opening of the new building – none other than Mrs. Jefferson Davis, widow of the President of the Confederacy. The publicity brought by this visit encouraged other wealthy Louisianans to contribute large sums to purchase more property, build more buildings, and improve the existing ones. Many years later, in 1934, after she had been the administrator of Charity for quite a long time, Sister Stanislaus and one of her companion sisters from New Orleans, Sister Roberta, the director of the Daughters’ “pay” hospital, Hotel Dieu, were in Washington, D.C. to attend a conference of nurses. They had some time to stroll around the city when, impulsively, Sister Stanislaus said, “Let’s go see Mary Ann.” Sister Roberta suspected that her compatriot had something up her sleeve and simply went along with the impulse. When they reached the White House, Sister Roberta was shocked when Sister Stanislaus said, “Well, here we are; let’s go in.” They rang the bell and were admitted. “Mary Ann” was busy holding a reception, but the butler would do what he could to free her for a few moments. When Mrs. Eleanor Roosevelt walked into the kitchen a few minutes later, Sister Roberta sat in stunned silence while the Catholic sister and the President’s wife acted like old friends, Sister Stanislaus regaling the First Lady with the history of the Daughters of Charity in the United States, their many hospitals, schools and orphanages. Why, she even knew that Mrs. Roosevelt was a relative of their own founder, Elizabeth Ann Seton! Mrs. Roosevelt listened with interest and graciousness. Then Sister Stanislaus dropped THE BOMB! She asked her to ask her husband the President for money to build a new Charity Hospital! The First Lady simply replied, “I will tell the President, and I hope he helps you.” These were the years that Louisiana’s “Kingfish,” Huey Long, aspired to unseat the Democratic President and was virtual dictator of the state. Long would never allow federal money into his domain! After all, it might be a way for Roosevelt to buy votes away from him. As the saying goes, God writes straight with crooked lines, and Huey never got his chance at the presidency when an assassin riddled him with bullets in his own state capitol building in 1935. And Sister Stanislaus got her hospital. One of Sister’s great joys was finding and encouraging new medical talent. She loved to help train the rookie physicians who worked at Charity, and she also reveled in spotting candidates who would be good doctors. She met by chance a young Italian boy whose family was poor. He worked as a streetcar conductor, no doubt on the Tulane Avenue line that passed in front of Charity. Confiding in her that he would love to become a doctor someday, she followed him with interest, meeting his family, helping to pay bills, and finally, when she realized that his dream should come true, paying his way through medical school. When this young man became one of the first to actually operate on the human heart by repairing the heart of a longshoreman who had been stabbed, Sister had her reward by serving as his nurse. When the young surgeon lifted the heart out of the man’s chest and sewed up the wound, then replaced it carefully, he looked up at the beaming nun and said, “Fares, please.” This man became one of the most respected surgeons in America, and Sister had made it possible. The time came when the beloved, stern, dominating Sister Agnes fell ill. She was on a trip to the motherhouse in Emmitsburg and was taken to a hospital in nearby Washington, D.C. A new Sister Servant had to be found. How disappointed were the sisters at Charity when Sister Mary Agnes, a former society belle, was appointed. She had been administrator at a number of the Sisters’ institutions, but she was received badly at Charity because she was – well, she was just not Sister Agnes. Sister Stanislaus was sorely distressed when she heard of her cold reception and tried to make it up to her with love and understanding, but the fact remained that the new Sister Servant simply could not handle the barrage of politicians who descended on the hospital, putting their own ideas in practice and the doctors who thought they could do things better than she. A new superintendent was brought in to oversee the hospital, quite unlike the way things ran under the dictatorial way of Sister Agnes. Finally, in 1914, Sister Mary Agnes realized that she was making a mess of things in this corruption-ridden place. She begged to be replaced by Sister Stanislaus. It so happened that this was Sister Stanislaus’ thirtieth anniversary year at Charity. 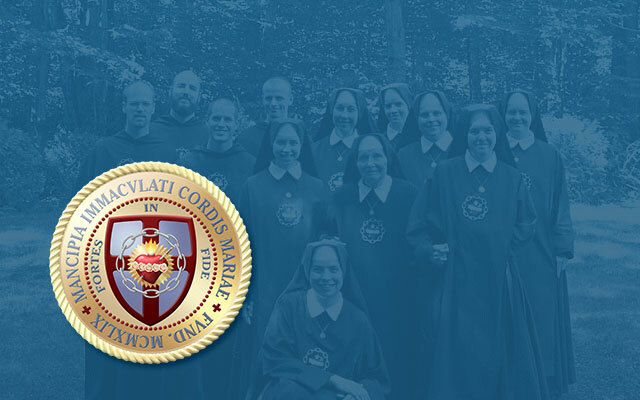 Many of the doctors and politicians that the sisters dealt with were not Catholic and had no concept of the life of devotion and service to God that motivated them. Helping the poor and ill was not a way for them to enrich themselves monetarily, but a way of getting themselves and others into Heaven. Rumors abounded – helped along by Sister Stanislaus’ remarks that she received “such a large salary that she does not reveal the amount to anyone.” She, of course, worked for the greater honor and glory of God; that was beyond their understanding. When, finally, she was appointed Sister Servant in that year of the beginning of the Great War, there was rejoicing in most quarters of Charity, grumbling in others – for they knew that she would rule with an iron hand. First, she learned how to deal with the troublemakers politically. The new chief superintendent – a political appointee – knew nothing about hospitals, but was bound and determined to rid Charity of “those long-faced nuns.” Sister did not confront him. She got her friend, Sister Stephen, a Sister of Mercy, to arrange a visit from a friend of hers, who just happened to be the newly elected governor of the state. Governor Pleasant paid a visit to Sister Stanislaus who explained the problem to him in her charming Irish way. The next day the dazed ex-chief superintendent came to her, hat in hand, admitting he did not realize that she was so politically “connected.” After that, she had no compunction about going to the top in any situation. What made Sister Stanislaus such a great woman? It is difficult to isolate one particular outstanding quality of hers — she had so many! Doctors and teachers said it was because she was such a tremendous nurse; she was praised as an administrator, an innovator, a guide, a co-ordinator, an umpire, a conciliator, a manager, a wily politician, a clever businesswoman, a generous almsgiver, a saint. She had a marvelous sense of humor and was interested in everyone she met, from the lowliest janitor to the most high and mighty doctor. Everyone loved her and wanted to please her. She knew just what every patient needed to make him better, not just medically, but as a human being. One of the ambulance drivers broke his arm when he skidded off the road in a rush to get an injured man to the hospital. Sister said a quiet prayer of thanks that his injury was not very serious. After his arm was put in a cast, she rushed off to get him “just the tonic” he needed and came back with a full glass of fine whiskey – in the days of Prohibition! No one knew where her “stash” was kept! She was always thinking of innovative ways to raise money for her “poor relatives” and their medical needs. She held an “International Fair” and invited none other than the golden-tongued William Jennings Bryan, Woodrow Wilson’s Secretary of State, to be the main speaker. She convinced the legislature to put a small tax on “pleasurable activities” – sporting events, movies and the like – for the benefit of the hospital. The first time she met Huey Long, before he became governor, was in the anteroom of the Governor’s office in Baton Rouge. He came over her to her and asked her, “How to you size me up, Sister?” Sister replied, “I’ll tell you when I see you come out of the Governor’s presence.” When he emerged from the office, and it was obvious that the interview went his way, Sister said to him, “You came out like a future governor.” Huey loved that! When he became governor, however, Huey’s big aim was to rule like a dictator, sometimes putting the squeeze on the hospital and sometimes writing enormous checks to it. As he was to the state of Louisiana, Huey Long was both a hindrance and a help to Sister Stanislaus. She prayed for “the poor creature” when he died. The real secret of Sister Stanislaus’ success is that she saw everyone as Christ – the young Jewish doctor who operated on a patient without permission from his superior and whose job she saved; the couple who couldn’t conceive: she gave them the green scapular and had the sisters pray for them, and within a year they were parents; the criminal shot by the police who sought refuge in her office and whom she treated and protected; the Klansman who threatened her with violence if she did not give him his newborn baby, born out of wedlock; the anti-Catholic bigot whose daughter became pregnant by a married doctor and who threatened and insulted Sister because of her hatred of Catholicism; the poor Baptist farmer from northern Mississippi whose little son died and who blamed the sisters, “daughters of Beelzebub.” Sister paid for the coffin, the undertaker and the preparation for burial of that little child and his transportation back to Mississippi. For the many babies born at Charity who were unwanted or unloved she found loving homes where they would have a secure and decent future. Christ has many faces; Sister recognized Him in all of these suffering people. Sister’s great love for children – all children, black, white and in between – was boundless. It spread beyond the boundaries of Charity Hospital to the city’s orphanages. She would have her wealthy friends outfit them for Christmas and Easter, send piles of gifts over at Christmas time and sponsor an Easter egg hunt for them. The very thought of a suffering child compelled her to do something to alleviate that suffering. One of her many beneficiaries from the Louise Home for Girls spoke of her generosity to the children. She returned the favors by giving to the Daughters of Charity two of her own six children. One day Sister came upon a visitor in the TB ward, a dark, dank, terribly depressing building. The lady looked ill and uncomfortable. Sister offered her a glass of lemonade and a piece of cake. After downing the offering, the visitor asked Sister why her patients seemed so happy in those awful surroundings. Sister told her that what they lack in comfort, the sisters and nurses made it up to them with love and attention. Then Sister Stanislaus told her about the terrible living conditions of the nurses and the worse ones of the sisters. When the lady pompously claimed, “I’m Mrs. Dibert!” Sister was unimpressed, only because she had never heard the name. Mrs. Dibert imperiously informed Sister that she would give her a million dollars for a new TB building. The Dibert Memorial would fast become the finest tuberculosis hospital in the country. Years later, Mrs. Dibert also had plans drawn up for a new convent for the sisters – at a cost of half a million dollars! When Sister saw the plans, she pointed out that there was no chapel. Mrs. Dibert, being decidedly anti-Catholic, refused to include a chapel in the building. “No chapel, no convent!” replied Sister. Would she really risk losing a five hundred thousand dollar building? Indeed, she would! At length, they agreed to include a “ballroom” and the sisters could do what they wanted with it later. Now – where would they put their convent? The sisters gathered on the rooftop of the Dibert building looking at the neighborhood below. Sister Stanislaus spotted a little store on a corner just adjacent to the hospital. “That’s it!” She reached into her pocket and began to throw a handful of medals, one by one, on the property with prayers to Our Lady and Saint Joseph to secure that corner. A few days later, Mrs. Dibert called with the news that she had found the perfect piece for the convent – a corner close by with a little store on it. Business was bad, and she thought she could buy it for a good price. Prayer answered, Amen! Sister Stanislaus had two great objectives for her growing institution: the first was to be one of the finest hospitals in the country; the second was to have the very finest and best-educated nurses anywhere. To this end, she masterminded the first-degree program for nurses in the country. Huey Long was governor now and had his finger in every pie. He was incensed when his Alma Mater, Tulane University refused to give him an honorary doctorate. The Jesuits at Loyola University refused him unlimited airtime on their radio station WWL. At the time, the state university in Baton Rouge was a poor, unpretentious institution. Sister’s wily mind thought up a plan to get the governor to give her what she wanted, all the while making him think that the plan was his in the first place! Why not fund a four or five year degree program for nurses at L.S.U.? It would be a first and people could point to Louisiana and its great governor as incredible innovators. Sister planted this thought in the mind of the hospital superintendent, an appointee of Long’s. The superintendent passed it on the governor. Huey loved it! Here was his opportunity to get even with both Tulane and Loyola for snubbing him. He would build his fancy nurses’ school and a medical school; he would deny any of their medical, dental and pharmacy students from benefiting from his generosity. All the money would go to the state university! Thanks to Huey Long, Louisiana State University became one of the most respected in the nation, both at its main campus in Baton Rouge and its medical program in New Orleans. Long’s determination to disallow any federal money into Louisiana stymied funding for Sister Stanislaus’ dream hospital. It was the Great Depression, after all, and without outside funding, her plans seemed destined for failure. When Old Huey was assassinated in 1935 all that changed, and Louisiana was once again within the Democratic fold. The occasion even prompted a visit to the state by FDR to assure that the rift was healed. Imagine! After his visit with the state higher-ups, the President planned to visit Sister Stanislaus at the hospital. He would remain in his car with hospital personnel stationed outdoors at the appointed time. Roosevelt’s entourage was right on time; all the hospital personnel who could be spared were there, but where was Sister??? The height of discourtesy! Was she secretly a “white Republican”? No, she simply heard the wail of the ambulance and duty called her to head for the emergency room where a motorcycle policeman in the President’s parade was slightly injured. Seeing that it was not life-threatening, she hurried off to her appointment with the man who could make her dream possible. When he saw her, his face beamed, “I’ve heard a lot about you, Sister.” “I imagine you did hear a lot about me, and none of it good. And I’ve heard a lot about you.” “And none of what you heard about me was good either?” he asked. “Oh, a lot of it was good. I heard that you are going to give us a lot of money for Charity Hospital. The good Lord knows we need it.” “We’ll see. If it’s up to me, you’ll get every dollar you need.” And that was it. A few months later the federal government sent Louisiana $3,600,000 to be used in the building of the new hospital. Sister Stanislaus had estimated that the high-rise hospital would actually cost $12,000,000. Sister celebrated her golden jubilee at Charity in 1934 – “fifty years and she never fell asleep at the switch!” In 1936, because of her great contribution to the city of New Orleans, Loyola University awarded her an honorary doctorate, something that she scoffed at because she never liked public adulation. At the ceremony she was called New Orleans’ most beloved woman. One of the speakers went a bit overboard in his praise when he said, “She was able to walk on the pinnacle and in the dust, to receive a beggar or a prince. She was the white angel of mercy… the black orchid.” Horrified, Sister exclaimed, “A black orchid! What does he mean by that?” It was explained to her that the black orchid is extremely rare, almost inaccessible. Its petals unfold and wrap themselves around one so that he can never shake off its enchanting odor.” “I’m sorry I asked,” was Sister’s reply. The new Charity Hospital was rising, and Sister, even in her seventies now, oversaw every inch of its construction. In 1945, she received the Times-Picayune Loving Cup, awarded by the main newspaper to the city’s most influential citizen. At that time, she was eighty-one years old and had been at Charity for sixty-one years. Few knew then that Sister was in great pain and nearly blind. Amazingly, no doctor was ever able to find the cause of the pain and the loss of sight. To her, pain was money for the Lord, coin of the realm, better than any gold, for it would ease her way to Heaven. Her doctors sent her to a specialist in Saint Louis, but she came home six weeks later no better. During that time, her “poor relatives” were transferred from the old building into the new hospital. Knowing that her working days were numbered, she requested that a new Sister Servant be appointed so that she could step down. The plan was for her to spend her retirement days in Saint Louis at the Motherhouse. However, the citizens of New Orleans kicked up such a fuss that she was allowed to remain there as long as she wished. She could still visit her beloved children and give them nickels and candies out of her pockets. She could still go to the familiar chapel and pray in front of the Blessed Sacrament. Old friends visited and took her out for automobile rides; others, like the “post office girls” guided her about the hospital to visit patients. As she neared her eighty-sixth birthday, one of Sister’s “boys” – Doctor Walter Mattingly, a good Irish Catholic fellow, tried to ease her pain by performing a small operation. Doctor Mattingly adored this woman, revered her as a saint. He wished that he could suffer for her. One of her last visitors was the Archbishop of New Orleans, Joseph Francis Rummel. He was a heavy man and occupied a delicate chair at her bedside. He joked that it must have been made for her. She parried, telling him he was losing weight, too. Her very last days were pain free, and she spent them talking to Our Blessed Mother. Sister Stanislaus breathed her last on June 8, 1949, a life well spent, a job well done. May she rest in peace. It was a special treat for me to write about this amazing Daughter of Charity. New Orleans is the city of my birth. Indeed, I was born at Hotel Dieu, the Sister’s “pay” hospital, just a few blocks from Charity, as were my two oldest sons. Our family doctor, and the doctor who attended my birth was none other than Doctor Walter Mattingly, he who so lovingly tried to ease Sister Stanislaus’ pain in her last days. I lived the first fifteen years of my life on the same street, Tulane Avenue, where my family ran a bakery. The Daughters were my earliest teachers at Saint Joseph School and our parish church was Saint Joseph’s, one of the largest and most beautiful churches in the country, also on Tulane Avenue. I have many fond memories of the wonderful Daughters of Charity who taught me. Their cornettes were fascinating to the children! Another connection that I have with this story is my dear daughter-in-law, Trudy, is a graduate of the Charity Hospital School of Nursing and a niece is a graduate of the L.S.U School of Medicine, functioning at Charity Hospital at that time. Both agree that they received the best training in their field – obstetrics – at Charity that they could have had anywhere. Sadly today, Charity is no longer functioning as it was then. Hurricane Katrina, which devastated New Orleans with terrible flooding in August of 2005, badly damaged the basement and first floors of the main building. Having been built in the 1940’s the building is antiquated (there was no air-conditioning then) and, though still structurally sound, it would have to be gutted and entirely refitted on the inside. The poor of New Orleans are being treated at satellite clinics located in many neighborhoods around the city. As we write, there is a big debate raging over whether the place should be razed and rebuilt from scratch or repaired and modernized. Preservationists want to keep the distinctive Art Deco main building. Many proposals have been made, all of them running in the many millions. The dear sisters are long gone, having suffered the loss of vocations as most religious orders did after Vatican II. Perhaps the powers-that-be should ask themselves, “What would Sister Stanislaus do”?